Description : A theme for those who like to keep it light and simple. It has been awhile since I made a theme to be released. 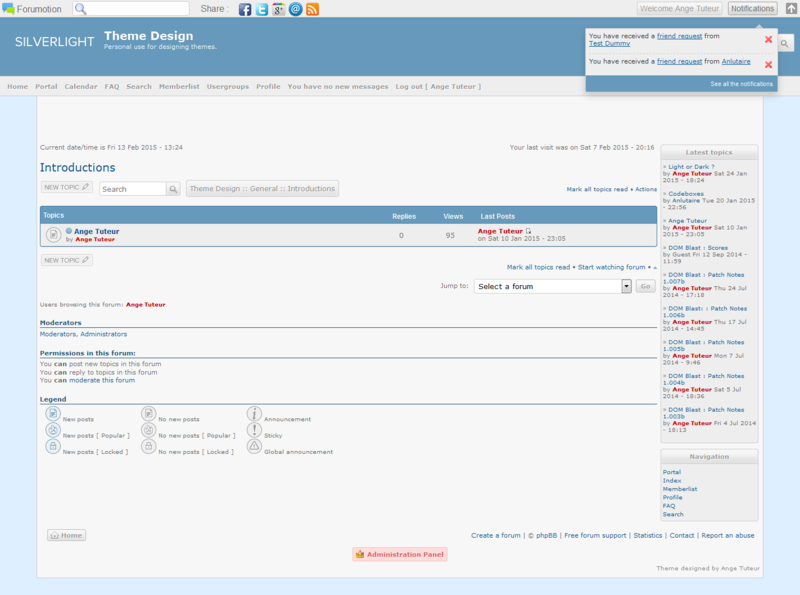 It's similar to the old FMD theme, but with a lot of improvements. Is there a way to make header normal, not spreading through whole width? And how did you add that Affiliates navbar to appear left? You added the link via Admin panel > Display > Headers and Navigation, right ? If so, you just need to change /h1-fm-design-affiliation in the CSS to the Redirection URL value. NICE can you list some brief differences from the previous one? I don't see any change at all tbh! To be honest, I don't even remember ! However, I think I was using a modified version of this theme.